Medical research and innovations is an open access peer-reviewed journal focusing on all aspects of medical research including basic medical sciences, biomedical, biological, clinical, epidemiological and translational studies. The journal has a broad coverage of subjects viz., Anatomy, physiology, biochemistry, medicine, pharmacy, Dentistry, Nursing. 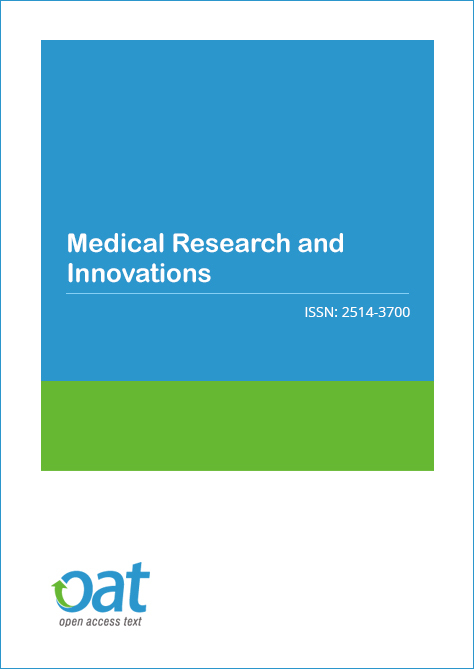 Medical Research and Innovations publishes research, reviews, case reports, protocols, clinical studies, methodology papers, editorials, perspectives, short communication. Medical Research and Innovations publishes articles on following sections in the table below. Copyright is retained by the authors and articles can be freely used and distributed by others. Articles are distributed under the terms of the Creative Commons Attribution License (http://creativecommons.org/licenses/by/4.0/), which permits unrestricted use, distribution, and reproduction in any medium, provided the original work, first published by MRI, is properly cited.